Do you get annoyed by distracting noises while you’re trying to enjoy your music? Things like the hum of air conditioners and computers or the drone of engines on public transport can be frustrating for music lovers. There is an easy solution though. Meet the iDeaPLAY V207 Bluetooth headphone with Active Noise Cancelling. Not only does it cut out external noise but it also continues the brand’s tradition of high build quality and sound. iDeaUSA is a brand that has consistently surprised me with their value and build quality. So when they reached out to ask if I’d be interested in checking out their new Bluetooth headphone it was a no-brainer. The iDeaPLAY V207 sports Bluetooth 4.1 with aptX and Active Noise Cancelling (ANC). This product was provided for the purpose of an honest review. All observations and opinions here are my own, based on my personal experience with the product. The first thing I noticed about the box is that the company has changed up the colour palette from their previous AtomicX line. Gone are the dark grey and green colours from the existing models and instead, the iDeaPLAY V207 box sports a white and blue design. Keeping it simple and clean, the front of the box just has a clear image of the headphones. On each side, is a list of some of the headphones features and over on the back is another picture, along with a more detailed feature list. The included carry case is something I (and I’m sure many others) love to see. It’s nice and compact and has a textured outer surface with iDeaPLAY in white text on the top. Inside is a soft fabric cover to prevent the headphones from getting scratched. There’s also a handy mesh pocket to hold all your accessories. As with the other iDeaUSA headphones, there is also a 3.5mm cable so you can use the V207 wired if you find yourself with a flat battery. The iDeaPLAY V207 breaks away a little from the more conservative style of the previous models by adding a splash of colour with some vivid red highlights. I personally find the aesthetics quite pleasing; not boring and at the same time, not flashy or gaudy. Starting at the top, there’s a spring steel headband with PU leather on the top and a padded underside with a fabric cover and stylish red stitching. At the bottom of the headband, there’s a hinge on each side which enables the headphones to be folded for portability and storage. Further down below the hinge is a straight arm that makes up the adjustment slider, which I’ll get to in a moment. The arms are a combination of plastic and metal, so they feel very strong while still being lightweight. There is a long rectangular section on the inside that has been cut out and this is where the earcups attach to the main frame. What’s interesting about the way the earcups are attached is that unlike most headphones where the headband is adjustable, on the V207 it’s the earcups themselves that slide up and down. The action is smooth and holds the earcups firmly in position. It’s a unique solution that I think works really well. That outer part of the earcups that attaches to the frame is a solid metal plate so it should prove to be very durable. There’s a pivot that attaches the earcups to the metal plate, allowing the headphones to naturally find the right position on your ears and provide a good seal. On the inside of the cups are an L and R marking denoting Left and Right for easy identification. A lot of headphones are adopting this feature and I’m a big fan of it. And finally, we come to the earpads. These are a soft memory foam, covered with equally soft PU leather. The pads are removable, so they can be replaced if they become worn or if you want to swap them out with a third-party earpad. All of the controls are located on the right earcup. On the front edge is the ANC On/Off switch, which is accompanied by a small blue LED indicator. On the back are the volume and multifunction keys, plus another LED indicator that shows Bluetooth and charging status. Lastly, on the underside of the right earcup are the Micro-USB port, built-in microphone for voice calls and 3.5mm audio jack for a wired connection. For the most part, I find the iDeaPLAY V207 to be quite comfortable. However, the clamping force is a bit tight for my head. You can alleviate this by physically bending the spring steel headband to reduce some pressure. Another thing is that the earpads while being very soft, are also fairly thin. This could cause some discomfort if you have large ears or ears that stick out to the side. After I made some adjustments to the headband, this no longer bothered me and I can now wear the headphones for a long time easily. Passive noise isolation is about average for a closed back headphone. You can still hear things like a television in the background but if there’s music playing you won’t hear much external noise. It’s kind of a moot point anyway, considering the V207 has ANC. The ANC works well on the V207, just like it did on the previous models. As with most ANC though, it works best on low-frequency noises, like the hum of a fan or drone of an engine. If the TV is turned up loud or there’s a spirited conversation nearby you’ll still hear noise coming through. This isn’t a fault of the ANC – it’s the norm. What’s really great about the V207’s ANC is that there is almost no perceptible change in the sound whether it’s switched on or off. The iDeaPLAY sounds the same both ways and that’s very cool IMO. This section hardly needs a mention nowadays as it seems every Bluetooth device I have tested lately is pretty solid in this department. The technology has progressed to a point where most everything is easy to pair and has a stable connection. I find that the ease of pairing has more to do with the source than the headphones. For example, my Android smartphone has a much stronger and more stable connection than my AR-M20 DAP. Buuut regardless, the iDeaPLAY V207 is super easy to pair and does so with accompanying voice prompts. So it lets you know when it’s turned on or off, when it is connected to a source and when the battery is low. The V207’s 500mAh battery can play up to 24h with ANC on and 27 hours with ANC off, so you can comfortably get through a whole day (and more likely several) on a single charge, The headphones also have a 250h standby which is pretty impressive. The iDeaPLAY V207 carries the company’s familiar house sound, which has a fairly aggressive bass, relaxed treble and a warm overall tonality. There are, however, some significant differences that the V207 brings and they are positive ones. First of all, the layering and instrument separation is much improved. This is probably due to a better-tuned bass, which I’ll cover in more detail in a moment. The soundstage is also improved, being more expansive in both width and depth. The stage is much wider than it is deep but the headphones portray a fairly large space and don’t feel closed in or confined. Just like the other iDeaUSA headphones, the V207 has a heavy emphasis on bass. It has a lot of impact and throws its weight around but has good control and isn’t loose or boomy. It has a slower decay and is a little lacking in definition but it’s still a lot of fun and bass lovers will surely appreciate it. The V207 is particularly good for watching videos and pretty good for gaming too and makes for great, deep, rumbling explosions. The mid-bass is a little less emphasized than the sub-bass, which has a very satisfying rumble to it. The midrange is a little recessed thanks to that heavy bass but still sounds full and detailed. There’s good clarity and as I said above, the instrument separation is actually pretty solid. Male and female vocals sound rich and full with plenty of vibrancy and body but without any sibilance. Fairly laid back and non-fatiguing, the treble takes a bit of a backseat when it comes to quantity. However, the quality of the treble is good; it has some airiness and nice crisp notes without any harshness or artificial-sounding artefacts. The V207 is the latest headphone to come from the people at iDeaUSA and I think it’s their best yet. 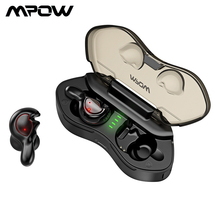 It’s really well built and the Bluetooth connectivity and Active Noise Cancelling works perfectly. While it won’t suit the most demanding audiophiles, it is definitely a good sounding headphone for the demographic it’s aimed at. 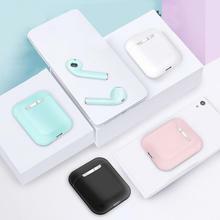 That is people who want to listen to music and watch videos on their phone, tablet or TV and not be tied down by wires. If that sounds like you, grab yourself some of these. I’m sure you won’t regret it.